With the goal of creating a world where objects communicate with us, we have become the largest Internet of things network operator in Canada. We design, develop, manufacture and distribute proprietary products and technologies with ultra-low hardware costs to sectors ranging from automotive to agriculture. Our hardware communicates using various wireless technologies such as S.P.R.S. *, cellular**, and Bluetooth. We have the fastest acknowledgements rates in the industry. 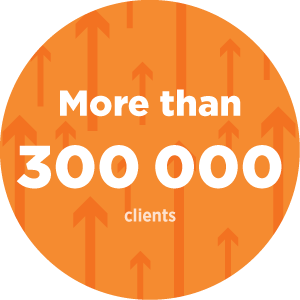 Our network is rapidly expanding with more than 35,000 km2 of coverage added each month. Both our wireless network architecture and protocol language are highly scalable and agile. 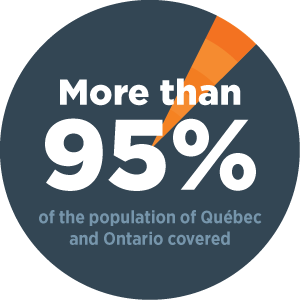 Our network coverage reaches more than 95% of the population of Ontario and Quebec with plans to offer nation-wide coverage in the near future. More than 250,000 vehicle commands transmitted successfully each month. We offer the possibility of “no monthly fees” or “micro monthly fees” payment plans. Benefit from a solution designed to last! Contact us today 1 (844) 763-3344.